The latest version of the Paddy Power mobile app was launched in April 2014, and can be downloaded from the App Store for iPhone and iPad, or directly from the Paddy Power site. If you don’t have a smartphone, you can still use the Paddy Power mobile betting features, without having to download any software, by visiting www.paddypower.mobi. 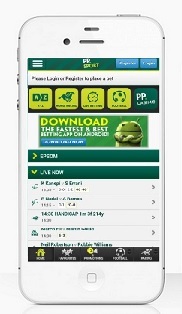 Betting on your mobile device with paddy power is a seamless, fast and intuitive experience. The mobile site features an easy-to-use navigation menu for quick access to live betting, horse racing, football, darts, tennis, golf, rugby, basketball and virtual sports. Links are also available to the mobile sites for Paddy Power Live Casino, Paddy Power Vegas and Paddy Power Casino. A really neat and unique feature of Paddy Power’s sports betting app is the Bet Calculator, which will help you calculate the stakes and potential profits to be won from your bets. The first to launch a sports betting app in the App Store, Paddy Power has focused a lot of time and energy into developing the next generation of innovative apps for iPad and Android devices. 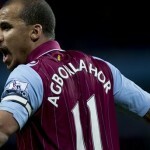 Top 10 Bets – see who the pros are staking their money on! Access these and other great feature with the Paddy Power mobile app download here.